Alan Pardew hopes the chance of making Newcastle United history will restore the focus his team lost at Southampton last week. With their season drifting to a close, the Magpies’ Premier League position offers little incentive beyond prize money for the remaining six games of the campaign. They have a nine-point cushion in their stated aim of securing a top-half finish, but are ten adrift of the Europa League places. That lack of incentive was painfully obvious in last week’s lacklustre 4-0 defeat at St Mary’s. But in December Newcastle secured their first win at Old Trafford since 1972, and beating Manchester United again today will ensure a first league double over the Red Devils since January 1931. “It’s a great fixture in the calendar and it’s very rare for it to be at 3pm on a Saturday, which perhaps shows where the two clubs are, in particular this week,” said Newcastle manager Pardew. “Surprisingly I’m really looking forward to it. James’s Park. With two available for a win, the Red Devils finished nine points adrift at the bottom of Division One that season. Much as the Manchester club is struggling to adjust to the management of David Moyes, and further handicapped by defensive injuries, a repeat of either of those scorelines looks extremely unlikely given that one of Pardew’s most pressing concerns is a lack of goals from his own team. The Magpies have failed to score in ten of their last 15 games in all competitions, losing ten of them. 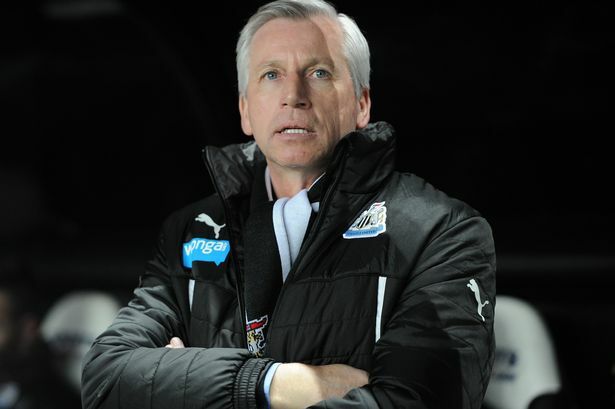 More alarming still to Pardew was his team’s lack of focus on the south coast. He has worked on the training ground this week to address both at once. “As a group we know that last week was so far below what we can produce that the only way is up from that,” he reflected. “We have worked on the structure of the team, to give Manchester United some problems and if we’re not going to produce perhaps a moment outside the box, then to produce moments inside the box, and that means a certain type of delivery into the box, a certain amount of numbers getting into the box, and those things can contribute to a goal. “They’re the things I can control. 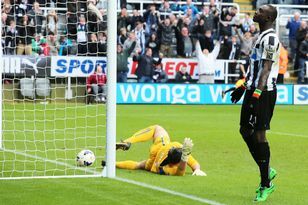 And hopefully Papiss (Cisse) can smash one in from 35 yards as well! The injured Loic Remy and Yohan Cabaye, now at Paris Saint-Germain, have between them scored 20 of Newcastle’s Premier League goals this season. The next highest scorer – Yoan Gouffran, with six – has not found the net since Boxing Day. Pardew will again be confined to the stands, serving the fifth match of his punishment for an altercation with Hull City’s David Meyler. Owner Mike Ashley has been a regular at those games, although the under-pressure manager is unsure if he will be in attendance this afternoon. Tim Krul (knee), Mathieu Debuchy (groin), Moussa Sissoko (hamstring) and Remy (calf) are all injured, having featured in the win at Old Trafford. The Red Devils’ team selection may reflect the fact they too have little to play for in this season’s Premier League, but have a European Cup quarter-final at Bayern Munich on Wednesday, where a win or a draw of two goals or more will take them into the last four.